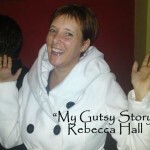 Greetings from Paris, where I’m announcing the WINNER of the APRIL “My Gutsy Story” contest. Your wonderful fans all voted to support you. Well Done Esther. 2nd place:Keren-Nicocole Bunnell. Congratulations Keren. You are truly a hero for taking care of your younger siblings, after your parents passed. Not only did you help them grow up, but you also have an extremely talented family of musicians. 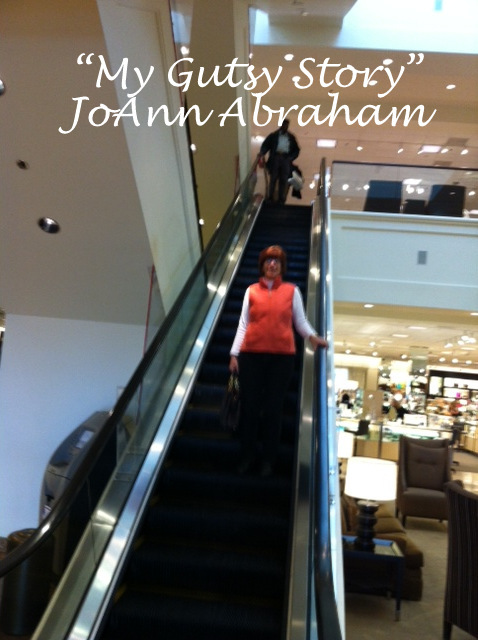 3rd Place: JoAnn Abraham wrote a story which I’m sure will help others who suffer from a fear of heights, escalators, boat ramps and more. 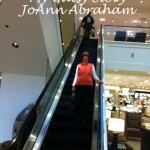 The photo you submitted is proof that you have overcome one of your fears. Well done and thanks for submitting. 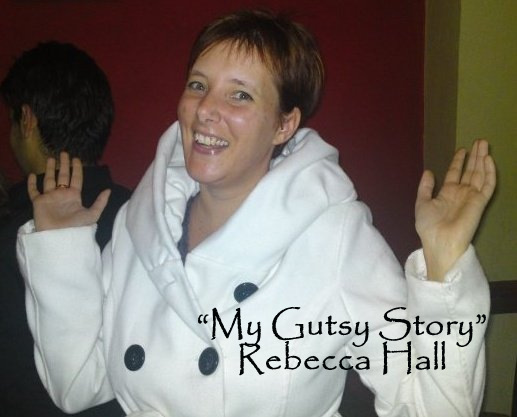 4th place: Rebecca Hall is the perfect example of someone who has chosen to follow her passion, and not feel that she is “stuck” in a place or a job she doesn’t like. Good for her for finding happiness somewhere other than where she was born and raised, despite what her family and friends may think. 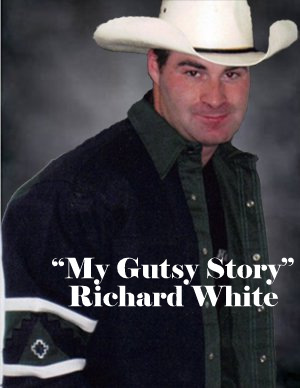 5th place: Richard White AKA Shotgun Bo Rivers, shared his enthusiasm for rodeo with us, and how his amazing eight-second ride, impacted his life. 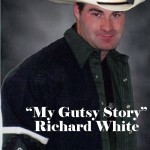 Richard also served in the U.S. Armed forces. You are all WINNERS, with such amazing writing and stories to share. Thank you for participating, and to all VOTERS for taking part. 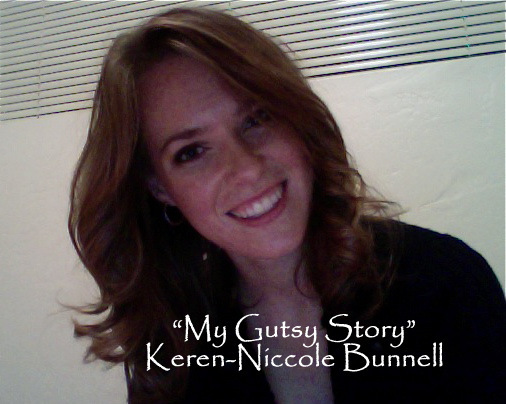 Please share the “My Gutsy Story” series with others. Thanks. cheers to all the winners! Congratulations to all the winners and wish your more success. Congratulation to all the winners and i wish you all the best in life. Congratulations to all the winners. For those who won, they really did your best job. 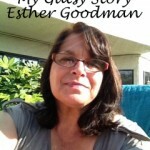 I am so happy Esther won! I liked her story most! There were several outstanding Gutsy stories to choose from, which made it hard to select one to vote for. 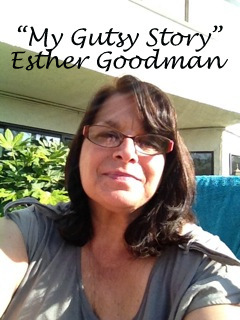 However, Esther’s detective work to discover her mother’s past was really outstanding. 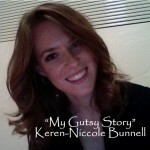 Congratulations on winning the Gutsy Award last month!